Plug and play ... the Brix phone is a Lego-inspired mobile that can connect to other Brix to watch TV and play movies. The creator, Seokwon Hong, believes his creation will bring people together. "I want to make people... communicate with each other through individual products. Don't forget to wipe ... easy to recycle, the Napkin PC may eliminate the need for printers, paper and ink with an instant "print" feature. 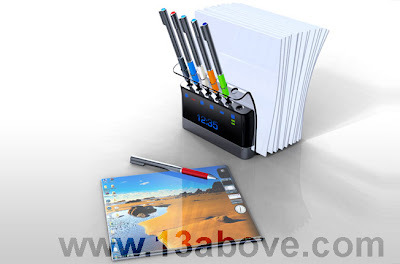 Using touch input, the palm-sized design is ideal for business professionals and work groups. "It can have multiple users, multiple interfaces, and multiple configurations. It breaks the PC down to only the interface - a pen and a space - and then gives you a multitude of both so you can let your creativity run wild," says designer Avery Holleman. Instead of ever putting ink on paper, the interfaces themselves instantly become "prints" when the power is removed . Small machine, big mission ... the prototype XO-2 touchscreen laptop is the second machine created by the One Laptop Per Child (OLPC) foundation as a cheap learning tool for impoverished and developing communities. 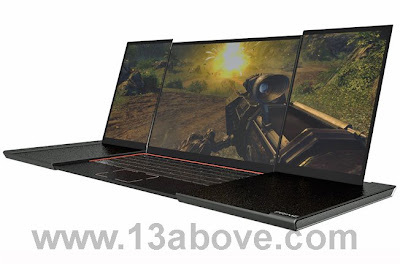 This dual-screen laptop, expected in 2010, has been built with real-world conditions in mind - it is energy-efficient, can withstand extreme weather conditions and has local language support. 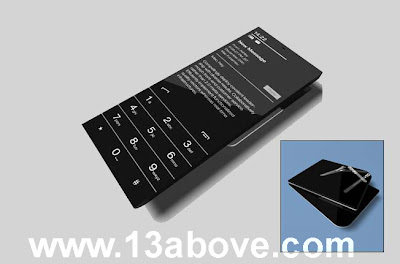 The dual touchpad supports written input and includes a virtual keyboard with 80+ keys. ICU ... the iCom is a sophisticated communication station that makes use of your home Wi-Fi connection and showcases it on a touch-controlled display. 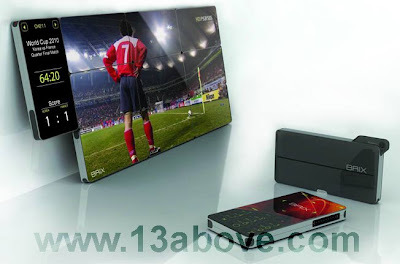 The iCom concept design shows an all-in-one multimedia machine that can act as a picture frame, music streamer, and news feed reader. 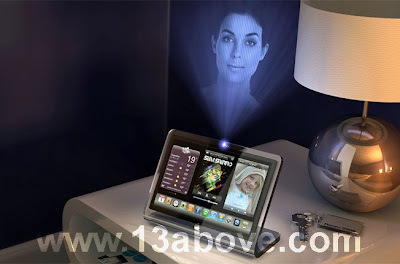 With a design heavily influenced by Apple Macs, the LCD screen displays three iPhone-like interfaces side-by-side, along with a scrolling toolbar populated with a number of icons - and it has a holographic 3D display . Flip out ... the iPhone Flip is a smaller clamshell version of Apple's smartphone, adding a dual-sided trackpad to separate the touch sensor and phone display into two separate units. 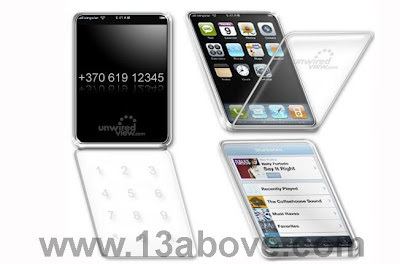 The touch sensor is on a transparent panel hinged onto to the iPhone. If you want to dial a number, you can draw it on your trackpad. While the iPhone Flip is just a concept design, it would be interesting to see if Apple actually take it into consideration . Wild fold ... When it comes to mobile phones - how small is too small? Mac Funamizu tests these limits with his conceptual design of foldable phone. The Wild Fold uses Samsung's flexible OLED technology, how you fold your phone is up to you. 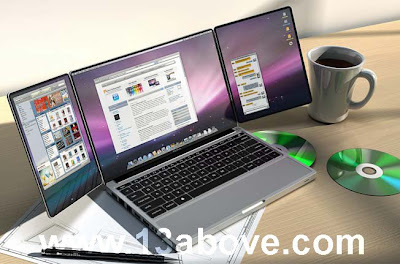 According to Mac, "how we fold a mobile phone could be limitless especially if it could work as a touch screen. It's freezing in here ... the iFreeze is a future iMac concept design by UK-based illustrator and designer Adam Benton. Fully wireless, the iFreeze features a 30" LCD screen that becomes transparent when not in use. 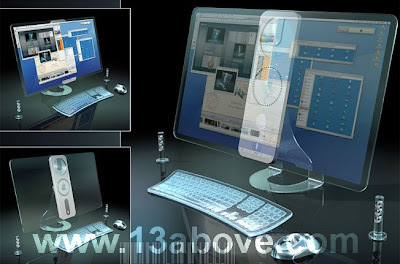 The keyboard is also transparent and uses light-sensitive illuminated keys. The whole machine will packed with a 5TB hard drive. The future of gaming ... the Prime Gaming Laptop (PGL) could become the gamer's weapon of choice as they step out onto the battlefield. When fully opened, this design has a super-wide 26" screen (13" when closed) with a 32:10 aspect for better in-game visibility. Boasting a sturdy aluminium design, the PGL allows for an efficient cooling system and has room for 2 CPUs - perfect for fluid gameplay at fast speeds. Look out for this collapsible gem in 2010. 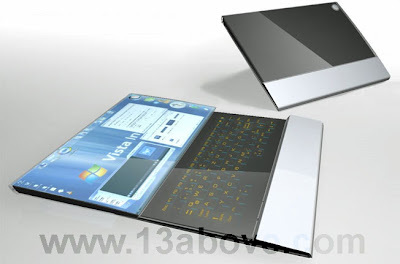 Next generation laptop ... created by German industrial designer Felix Schmidberger, the Compenion is a classy, elegant, futuristic laptop that uses an OLED touchscreen. The whole screen also slides out to reveal a second OLED touchscreen underneath, where you can have a keyboard or working controls. "Because of its interactivity you can place exactly the controls there that you need at the moment or have individual styles and themes to fit your taste. It is also possible to either have a keyboard displayed there or to write directly on it with the pen," says Schmidberger. The Compenion is expected to be released in 2011. Triple your experience ... the TriBook concept features three screens and an ultra-wide 21" landscape display. It also features an 8x SuperDrive, a whopping 1TB hard drive, and a MacBook Pro-calibre CPU. All that plus a generous keyboard and an expanded multitouch trackpad that supports a whole new complement of touch gestures. Shame it's just a fantasy.